Terrance is certified as a CERTIFIED FINANCIAL PLANNER™ professional, and is a member of the practitioner division of the International Association for Financial Planners and the National Tax Shelter Annuity Association. He served in the armed forces as Personnel Administration Specialist and was honorably discharged in 1966. 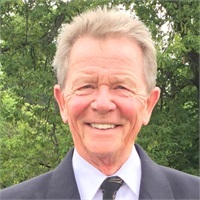 He graduated with a Bachelor of Arts Degree from the State University College at Buffalo in 1971 and is certified to teach English, Elementary and Special Education. He holds FINRA series 7, 6, 63, 22 registrations, and is licensed for life, health and accident insurance. He is a Registered Representative of Legend Advisory. Mr. McCue has also been a private Pilot since 1972, and is a member of the "Aircraft Owners and Pilots Association " (AOPA). Similarly, he has been a licensed Scuba Diver since 1973 and a member of "Professional Association of Diving Instructors ". Terrance has been involved in the retirement pension market since 1984 and is regarded in the industry as an very knowledgeable in this specialty field. His broad experience includes both sales, marketing, and the technical aspects of the qualified markets, as well as ancillary programs for educators and employees of not for profit organizations. Financial Planning, Life Insurance, Health Insurance, Disability Insurance, Employee Benefits.